One of the most outstanding free style wrestlers in modern history. Multiple time Champion of the USSR. The first free-style wrestler in the world honoured with “Golden Boot”. 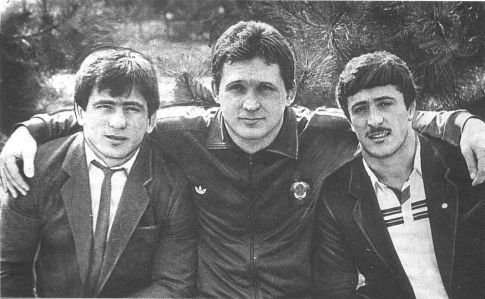 The Best Athlete of the USSR in 1991. Arsen Suleymanovich Fadzaev was born in Chikola, North Ossetia. He graduated from Tashkentsky Institute of Physical Culture and North Ossetian University, specializing in economics. Fadzaev is one of the most dominant and successful wrestlers in the world. During his wrestling career Arsen Fadzaev went three years without giving up a single point to his opponents. He is a charter member of the International Wrestling Hall of Fame. These amazing guys: brothers Makharbek and Aslan Khadartsev and Arsen Fadzaev during the several years got more than 100 medals at the highest level World competitions. It is more than some big countries can get. 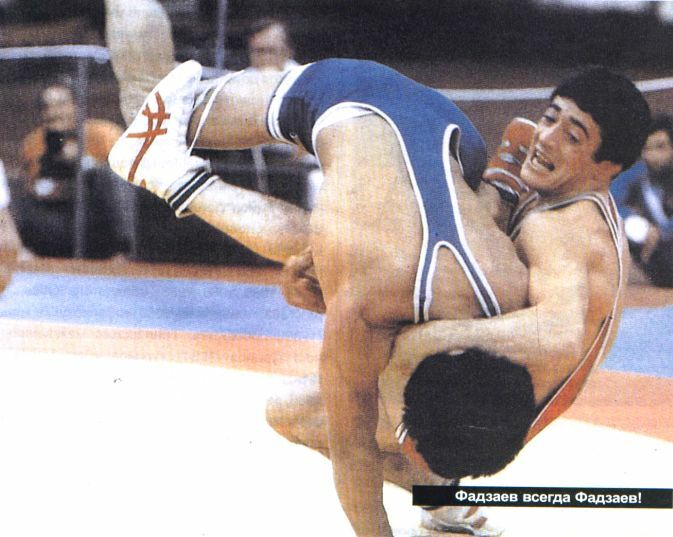 Arsen Fadzaev was going to get his first Olympic Gold medal in 1984. But because of political games between USA and USSR which boycotted Olympic Games of that year, the most prominent Soviet athletes, like Arsen Fadzaev, were deprived of winning the medals. In 1984 Arsen undoubtedly was the best in the world in his weight category. And later on he successfully proved this statement. After his career in professional sport was over Fadzaev served as Deputy Chief of the Administration of the Federal Tax Police Services of the Russian Federation in the Northern Osetiya. From 1993 to 1996, he headed the free-style wrestling team of the Central Sports Club of Army. Later on he was elected a Member of State Duma (Russian Parliament).